Follow our beginner friendly step-by-step guide on how you can create a custom and professional email address using your own domain name, and how you can receive and send emails using Google Gmail. Sure, Hotmail or Gmail email addresses work just fine for emailing your friends and family. But when you send and receive emails with your customers then you need to look professional. If you’re using an email address like [email protected], that’s no bueno because because your business looks unprofessional! 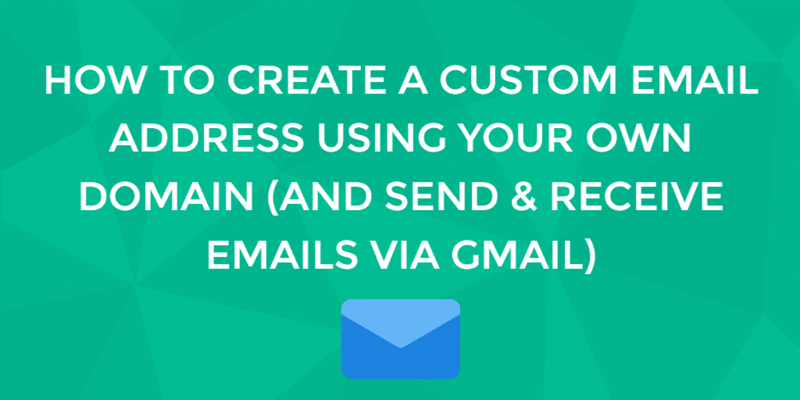 Here in this blog post you will learn step-by-step, how to create a custom email address, using your own domain like [email protected] and how you can connect it to your Google Gmail account. This way, you can send and receive emails using Gmail, but your customers will see the emails as coming from your domain name. First, you need to go and get web hosting. We recommend that you use Bluehost or GreenGeeks (both companies offer a free domain name when you sign up for hosting with them). The good thing about getting a domain name and hosting all from the same place is that you don’t have to configure nameservers or fiddle around with DNS settings Everything is already set up for you! Okay so you went and got yourself web hosting and a domain name, and they’re connected (again, we recommend Bluehost or GreenGeeks as you don’t need to do any DNS setting updates). 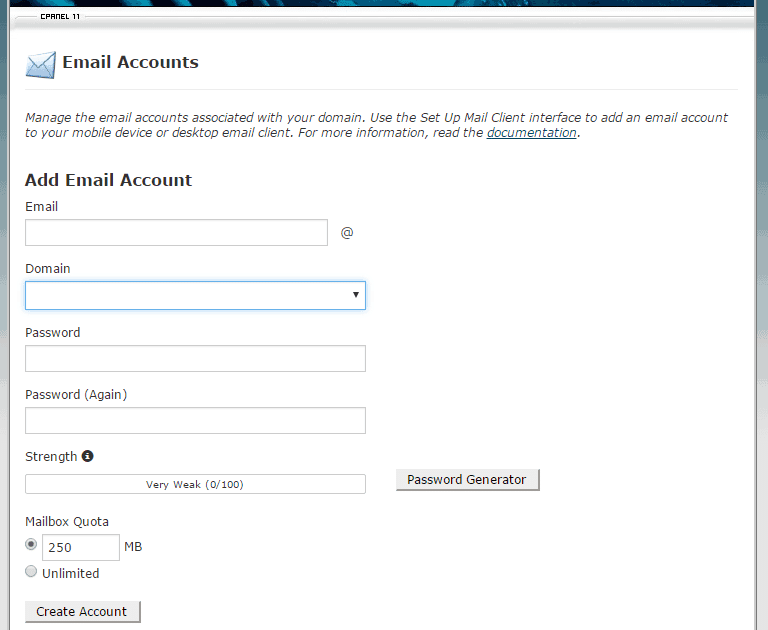 Now it’s time to go and create a custom email address, something like [email protected]. All done! You have now created your custom email address, something like [email protected]. Let’s go back to cPanel and find your email settings. Good! Because you’ll need to have these settings in front of you to be able to configure Gmail to send and receive emails (later step). Gmail (Google Mail) is awesome and it’s free. You get 15GB of storage and you also get access to Google Drive (cloud storage for your photos and files, and you can create and share documents, spreadsheets and make presentations). You can also be logged into multiple Gmail accounts at once (meaning you can easily toggle between your personal and business email inboxes). You should now have a sparkling new Gmail email address created, something like [email protected]. Before we configure Gmail we need to create an email forwarder. Set what email address you want the email address to be forwarded to (destination). That’s it. Now all emails to [email protected] will be forwarded to [email protected]. If email is important to you then you owe it to yourself to get yourself a professional looking email address. Because having a @hotmail, @yahoo or @gmail email address simply won’t cut it! Here we have walked you through (step by step) how you can create a custom email address using your own domain name. We recommend getting a domain name and web hosting from either Bluehost (review here) or GreenGeeks (review here). We have also shown you how to connect this email address to a free Gmail account, so that you can both send and receive emails from Google’s email solution.